CrossFit is often associated with exercises that seem impossible at first glance: endless pull-ups, walking handstands, and the famous “Murph,” which involves wearing a weighted vest, running a mile, performing pull-ups, push-ups, and squats, then running another mile. Yet despite its reputation for high intensity, CrossFit has millions of fans across the world. That’s in part because it is amazingly scalable: It can be adapted and modified to suit the needs of virtually everyone. Whether you’re already huge into fitness or completely in love with your couch, you can become an unstoppable CrossFit athlete. In the words of the official CrossFit website, “Grandparents and Olympians can perform modified versions of the same general workout.” Regardless of your circumstances, you can succeed at CrossFit. I hope this guide encourages you to try out a session at your local CrossFit gym (or “box”). When it’s over, you’ll feel amazing and be so happy you followed through. 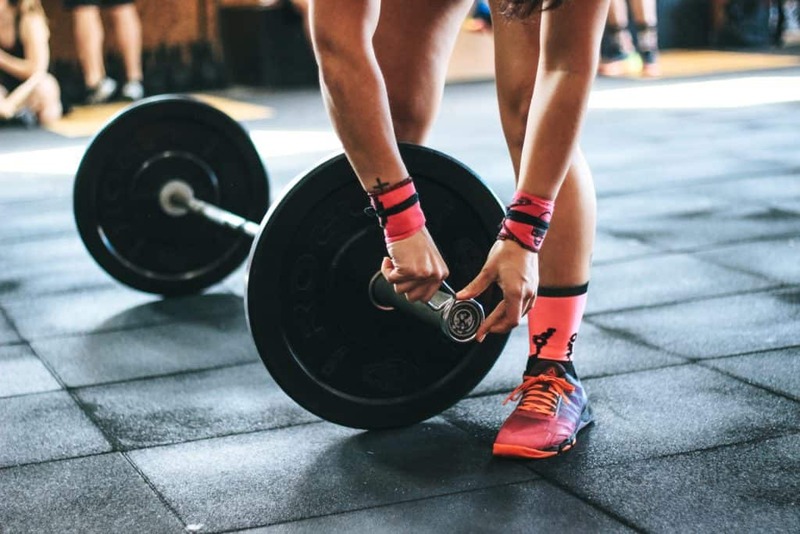 You probably already have some idea of what CrossFit entails, but there are so many misconceptions out there that it’s worth briefly explaining just what CrossFit is and isn’t. 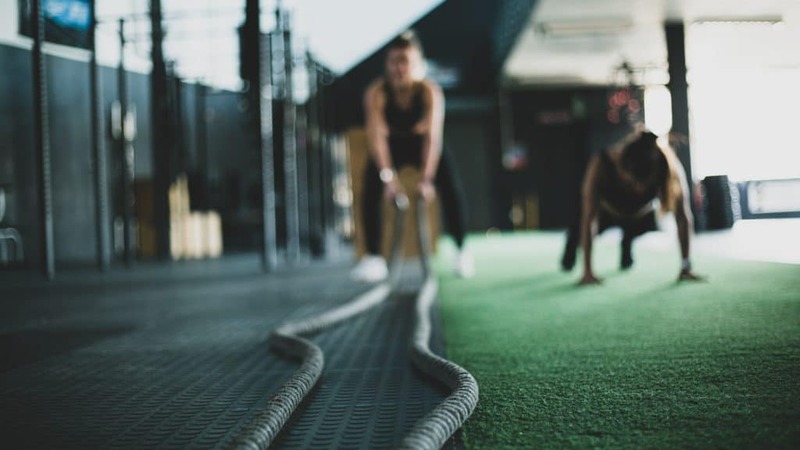 CrossFit is a “lifestyle characterized by safe, effective exercise and sound nutrition.” Workouts provide a wide variety of challenges and incorporate functional movements. In other words, the moves you do in the gym will directly correspond to common physical moves out in the real world too. The intensity of each workout depends on YOU, your fitness level, age, experience, goals, past injuries, personal strengths, and limitations. Moves can be modified, or “scaled,” to meet you where you are. So, you’ll perform a workout that challenges you. As you grow healthier, stronger, and fitter, you’ll tackle more difficult workouts that continue to provide a good level of challenge. The goal of CrossFit is to increase your skills and abilities in multiple areas of fitness: strength, power, endurance, cardiovascular fitness, flexibility, speed, agility, balance, and coordination. Every one of these factors is an important component to overall fitness and overall well-being. With steady commitment to your new CrossFit habit, you will bolster your “general physical preparedness” (GPP). 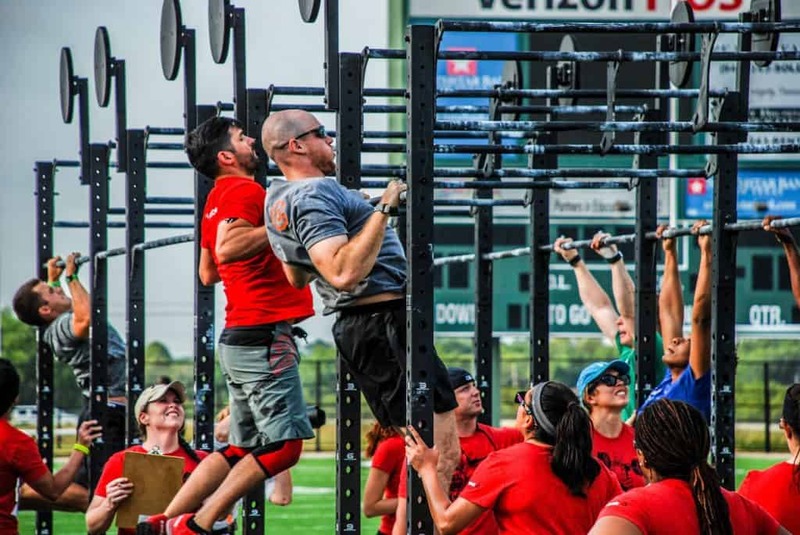 Another defining feature of CrossFit is the community. Countless people—myself included—have found lifelong friendships from their CrossFit communities. I’ll get more into diet in a section down below, but for now, I’ll admit that my own diet doesn’t match these standards exactly. I (mostly) eat vegetarian, and I definitely put a little sugar in my coffee. Magic. No workout program is. Although CrossFit is incredibly effective and well-designed, you still have to put in the work to see and feel results. Sport-specific training. 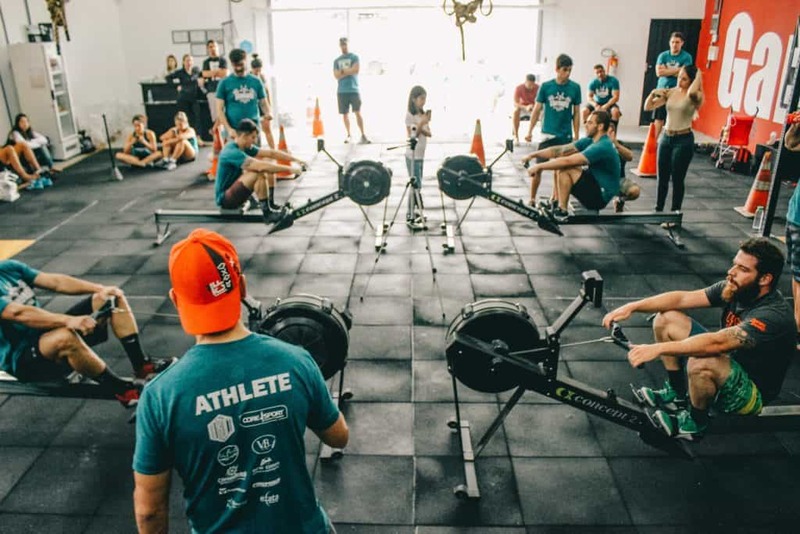 The primary aim of CrossFit is to increase your overall fitness and well-being, rather than to train for a specific sport like basketball or horseback riding. One-size-fits-all. Remember that you can modify workouts; there’s no need to pressure yourself into lifting too heavy too soon or trying to keep up with elite CrossFitters. Particularly dangerous. Of course every workout program comes with inherent risks, and again, it’s often a good idea to talk with your doctor before starting a new fitness program. That said, in the words of the official website, “CrossFit training is very safe, and sitting on your couch is dangerous.” I’ll talk safety and injury prevention in greater detail below. A gym-only program. You can use online videos and resources to do CrossFit workouts anywhere in the world or simply from home. CrossFit offers many benefits, from better heart health to improved coordination to enjoyable social interaction. The emphasis on GPP—your general physical preparedness—means that you’ll see results on multiple fronts. You’ll grow stronger and faster, improve your balance, and increase your stamina. CrossFitters also benefit from improved fitness in their everyday lives. Do you ever struggle to open a jar, mow the lawn, shove your heavy backpack into an overhead luggage rack, carry heavy groceries up four flights of stairs, or play on the ground with your kids? CrossFit can help with all that. Scientific research confirms that just about any form of regular exercise has tons of benefits, from increasing longevity to improving mental health. Plus, CrossFit is an excellent source of motivation and social interaction. When you join a CrossFit gym, or box, you will have a trainer and fellow CrossFit enthusiasts behind you every single step of the way. It really is a community, and everywhere you turn you’ll find support. You want a strong community and a “teamwork” feel for getting your workouts done. CrossFit communities are famously supportive, which is great for staying motivated. You want to develop a well-rounded, versatile level of fitness. Where CrossFit truly excels is in helping you gain versatility as an athlete. It’s not about becoming the fastest runner (with no upper body strength) or the heaviest lifter (who can’t jog a mile). Rather, CrossFit gets you in superb all-around shape. You’re new to strength training and want to get started. CrossFit provides an excellent environment for learning strength training moves and becoming comfortable with weights. You love working out in general and always feel better after a trip to the gym. You’re curious about what CrossFit, “the sport of fitness” has to offer. You have very specific goals. For instance, if you want to get in shape to hike the Continental Divide Trail, the best way to do that is by hiking a lot. Or again, if you play a sport, then CrossFit may not be as ideal as sport-specific training. Sure, cross-training and variety are always good, but CrossFit may be too much of a good thing for you. You prefer working out at home or by yourself. In that case, joining a gym (whether it’s CrossFit or not) probably won’t appeal to you. That said, you can incorporate elements of CrossFit into a home exercise program—I’ll get into this in a section below. You’re intrigued by another form of exercise. This guide is meant to encourage people who are already interested in, or perhaps on the fence about, CrossFit. But if your passions truly lie in barre class or powerlifting, or you’ve always wanted to try a triathlon, then go for it! I hear a few questions all the time from my friends who are curious about CrossFit. Many people wonder what to expect. How much supervision will they receive? Is the atmosphere competitive? Are they expected to follow a certain diet? In this section, I’ll clear up common questions on various aspects of CrossFit (first sessions, training at home, diet, etc.). What can I expect from CrossFit classes? Most CrossFit gyms, or “boxes” as we refer to them, let people come in for a free trial. Once you find a nearby box, contact them or check online to see if they have upcoming dates scheduled for potential new members. Many offer introductory classes specifically tailored to people who are brand-new to CrossFit. Typically, the coach tells you a bit about the CrossFit method, then leads you through a bodyweight workout. These intro classes are a great way to learn more and help you decide if you want to join. What happens next? Well, assuming you’re new to CrossFit, your gym should require you to take a course known as On-Ramp, Elements, or Foundations. This program will give you a better grasp on the nine foundational CrossFit exercises (described below). You’ll learn how to perform essential exercises and lift weights safely and effectively. Even if you’re already somewhat familiar with CrossFit or working out, I recommend taking any foundational class available, because it will reinforce correct positioning and form. This is necessary to keep you safe from injury during your training. And then there are the regular CrossFit classes. This is probably what you picture when you think of CrossFit: a group class with the instructor(s) circulating around the room as people do a series of exercises. Dynamic warm-up: These warm-ups involve moves like lunges, squats, high kicks, jumping jacks, and so on to get your body loosened up and ready for bigger challenges. Note that these are all dynamic moves rather than static poses and stretches. Traditionally, warm-ups used to rely far more on static stretching, holding a pose for 15-30 seconds or more. Nowadays, conventional wisdom says to save static stretches for the cooldown and use dynamic moves to warm up. Strength or skill exercises: Some days, you focus primarily on strength and do moves like deadlifts. Other days, you focus more on building skills and coordination. For instance, doing a pistol squat (one-legged squat) takes more than just strength; you also need good balance and control. Workout of the Day (WOD): CrossFit posts WODs online all the time (basically every day). The best way to get an idea of what they’re like is to take a look! Each workout is a series of exercises, performed for time. This WOD, for instance, involves box jumps, kettlebell swings, lunges, push press, burpees, and more. Cool down: Bring your heartrate back to normal and take a few minutes to stretch out your muscles. Sometimes, you’ll partner up with another participant. The purpose of this is to count reps so the other person can focus on the workout, and also for encouragement. In this event, you’re likely to be partnered with someone who is familiar with CrossFit. Trust me when I say this is what you want. They will help you with form and cheer you on enthusiastically! At the end of each WOD, the results from the class will be posted. These results will consist of times and reps, and the participants will be placed in order on the board. This isn’t something you have to worry about your first few times out, or ever, if you have no interest in comparisons. 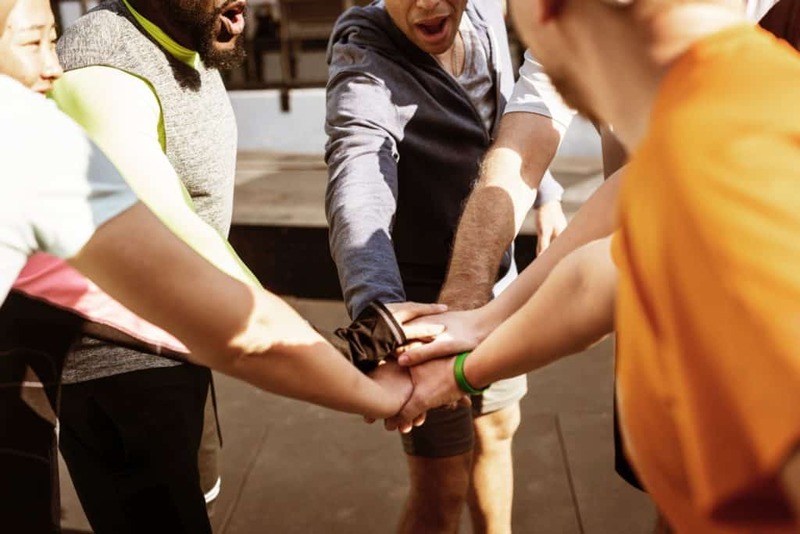 It’s a great tactic to help you set your goals, and many people enjoy the friendly competition—and remember that your “competition” will be cheering you on anyway! Some people don’t enjoy this competitive aspect—in this case, you can simply ignore it, or find another fitness program that works for you. How is CrossFit different from HIIT, weight training, etc.? To put it simply, CrossFit incorporates elements from both HIIT and weight training. It’s more all-encompassing. HIIT stands for high-intensity interval training. You work out in intervals, alternating between high-intensity activities (sprinting, squat jumps, mountain climbers, burpees—it can be almost anything) and low-intensity recovery periods in between. You might go all-out for 30 seconds, then jog in place for 15, then go all-out, then recover, and so on until you’ve completed your desired number of intervals. I usually go for 20-30 minutes total, plus a warm-up and cooldown. HIIT a great way of improving your cardio, and CrossFit training includes HIIT training. And then there’s weightlifting, which can include a variety of things and take on a number of different forms: powerlifting, Olympic weightlifting, etc. Generally speaking though, weightlifting obviously involves lifting weights and gaining strength. Again, CrossFit involves weightlifting, and many CrossFit exercises require lifting a barbell. Other, less traditional lifts are performed with medicine balls, kettlebells, and sandbags. 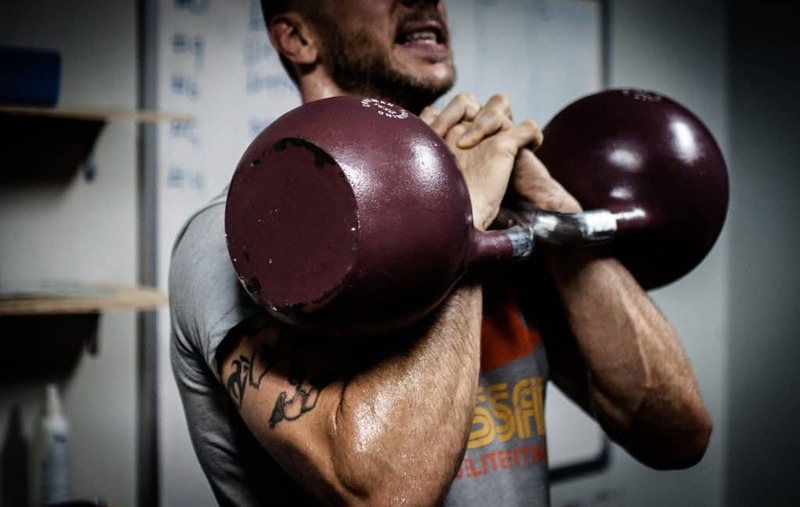 Personally, I love the variety of CrossFit, and I appreciate that it prioritizes both cardiovascular fitness and strength, since both are important elements of overall fitness. I have an old injury/I’m out of shape—Will I fit in? Yes, absolutely. As I mentioned above, CrossFit is meant to be effective for everyone, and it can be scaled and modified to suit virtually any personal circumstance. It’s important to be upfront with your instructors about your physical concerns and limitations. Tell them about old or recurrent injuries, and be honest about your current level of activity. 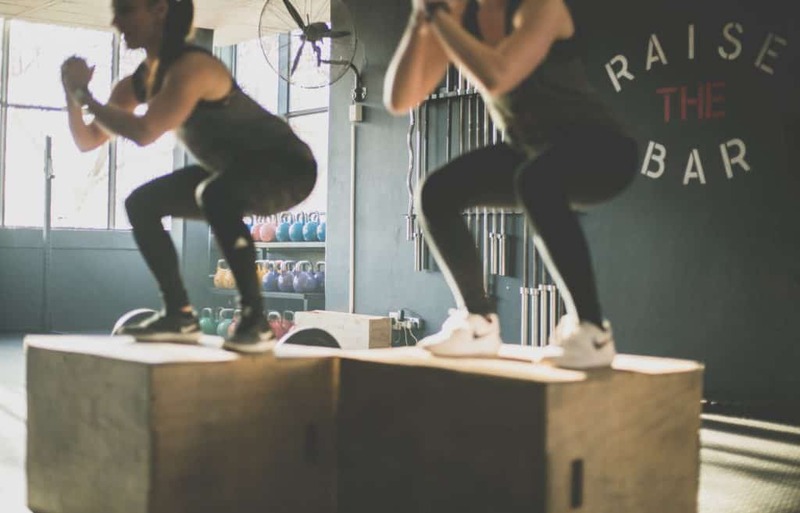 A good trainer should be able to give you a challenging workout while helping you avoid injury—more on identifying a good trainer and a good CrossFit box below! I understand all too well how an old athletic injury can derail your fitness goals. That’s where CrossFit’s scalability comes in: If a particular movement causes issues for you, do something else instead. If anything, CrossFit has decreased the likelihood that I’ll sustain another injury: By making me stronger, more coordinated, and more flexible, I’ve become much more resistant to injury. Tons of people think they can’t start CrossFit until they’re already in shape—but in fact, CrossFit will help you get in shape, not just stay there. No matter your size, health, or current fitness level, you can begin CrossFit. Gyms can unfortunately be intimidating to people who are out of shape or unfamiliar with the equipment. Although CrossFit aims to be extremely scalable and accessible to everyone, some individual boxes may fall short of that ideal. If you try out a particular CrossFit box and encounter an unfriendly atmosphere, the problem is with that box, not with you. In general, however, I’ve found my CrossFit family to be incredibly supportive and welcoming. Overall, CrossFit enjoys a well-deserved reputation for inclusivity. There are countless CrossFit-style workouts available for free online, which you can follow along with at home. CrossFit posts its WODs online, as do many boxes. This is very useful for people who want to get fit on a tight budget, who travel a lot, or who prefer working out on their own. Your main constraint here will be a lack of equipment. In this case, search specifically for equipment-free workouts, or consider investing in some basic at-home equipment (a few free weights, kettlebells). Another drawback is lack of expert supervision and advice. This is especially important if you’re new to CrossFit or strength training, since it’s extremely important to develop proper form. I recommend at least starting out in a box to learn the ropes. Personally, I’m thrilled that there are so many resources out there to help me stay in shape while I’m traveling and away from my box. But I strongly prefer working out in a social environment with a reputable trainer who can help me out when necessary. Many CrossFitters eat a strict Paleo diet. I am not one of them. I was a vegetarian for a long time, and now consume local, organic poultry as the only meat in my diet. That is a personal choice, and it’s likewise up to you to make the right diet choices for you. If you do decide that Paleo is your thing, that’s awesome, because you’ll have an entire group of people dedicated to helping you stick to it. In my book, that’s a huge plus because changing the way you eat is hard. I recommend making small, gradual changes to your current diet rather than overhauling it suddenly. And when in doubt, check in with your doctor before making any drastic dietary changes. For instance, if you struggle to eat enough vegetables, consider eating a big, fresh salad for lunch every day, and otherwise maintaining the rest of your diet as usual. Then, maybe a few weeks later, make a resolution to cut back on soda and sugary coffees—say from two per day to two per week. Another important diet consideration for anyone taking up a strength program: protein. A good amount of protein is necessary for building muscles. Remember that you can get protein from beans, whole grains, yogurt, and nuts in addition to meat. CrossFit is all over the world. If you haven’t already noticed a local box or two popping up in your area, chances are a quick search will help you find one! It is perfectly acceptable to visit a gym before you commit. Take a class, meet the trainers…see if that gym in particular is exactly what you want. Although CrossFit is a relatively standardized system, there can still be substantial variation among different boxes. Often, the quality of the owner or trainer will make or break the gym. Does the gym offer a Foundations/On-Ramp/Elements course? This is especially important if you’re new to CrossFit or fitness in general. Lack of a basics course may indicate that the gym isn’t very beginner-friendly, or that the owner hasn’t fully thought through its offerings. Does the gym offer skills training? Good CrossFit programming helps you advance your skills and learn new functional movements. If you never have the chance to learn new moves or lifts, then you’ll only progress so far. How are the trainers? What qualifications do they have? Do they spend time discussing your goals and responding to your concerns? Do they observe your movement to assess any potential issues, help you address imbalances, and improve mobility? Do they tell you how to perform modifications to certain exercises if needed? Is their emphasis on safety and proper form, rather than cranking out the most reps possible or working through pain? Is the gym clean and organized? Is the equipment in good working order? Are weights and kettlebells stored in a sensible way so you’re not tripping over them? What is the general atmosphere like? There’s no one right answer here: Some gyms are more competitive, while others tend to be more relaxed. Everyone has different preferences, but it’s important to find a gym with a social atmosphere that you like. Your first time at a potential box, you should begin getting a sense of each of these factors. I do recommend that you go back more than once to get a good feel. You’ll know in your gut which one is best. After several sessions (for instance, after completing On-Ramp), you’ll have a much clearer idea of how well the box is working for you. If you aren’t sure where the gyms near you are located, this handy tool will pull up the 10 closest CrossFit gyms to your current location, wherever that may be! That means you can CrossFit train while traveling. Monthly membership to a CrossFit box ranges from around US $130 to $170. For some people, that’s completely reasonable, and for others, that’s a LOT. You’re paying for two main things: Access to a workout space with quality equipment, and access to a knowledgeable trainer who develops effective programming. An “ordinary” gym may be significantly cheaper—between $20 and $60 per month—but that fee only gives you access to space and equipment. If you’re already knowledgeable and self-motivated, then this may be all you need. Essentially, CrossFit offers a different, more extensive service. You benefit from the guidance and expertise of a qualified trainer, who keeps an eye on your form and gives in-the-moment correction, in addition to supplying a comprehensive training program. It’s higher cost, but it’s also higher value. If a CrossFit membership doesn’t fit your budget, you can still incorporate elements of CrossFit training into your workouts, whether they take place at a traditional gym or at home. Remember that the official CrossFit website regularly posts workouts, as do many CrossFit affiliates. Injury is unfortunately an inherent risk of undertaking any physical activity (or really just living in general). But there are steps you can take to minimize your risk of injury while working out. After all, the last thing you want is for your new exercise habit—which you took up to get healthier—to end up putting you on the side-lines. As I mentioned above, it’s important to evaluate a potential new box to see how seriously it takes its clients’ safety. It should offer introductory (On-Ramp) programming, incorporate good warm-ups before each workout, and provide explicit instruction when needed on proper form. So on Day One, and in the following weeks, pay attention to the overall emphasis on safety at your new box. Do coaches emphasize movement quality and correct form? Do they discuss modifications that can be made to scale movements to the appropriate difficulty? Every class should begin with a warm-up. Even if you show up late and want to jump right in, you should take the time to warm up first. This is just as important when working out at home. You may be tempted to skip the warm-up since it’s not as exciting as the main event—but it’s absolutely essential. Develop good training habits and stick to them. Start slow and fully master the fundamentals. Sometimes, people get caught up in the hype and competition; they try to lift weights that are way too heavy or attempt moves that are beyond their current skill level. Don’t do this. Take your time to learn each movement thoroughly, until the correct form is locked in your muscle memory. Proper form is more important than the amount of weight you’re lifting or how fast you can lift it. Make adjustments to WODs if you need to. CrossFit is meant to be scalable, and there’s no shame in scaling. You might lift a lower weight, perform fewer reps, or do a similar but less difficult movement. Your trainer should provide guidance on how to scale each movement. That’s what your trainer is there for. If you’re uncertain about how to perform a lift, or if your form is on-point, ask your trainer to walk you through it. Include recovery time in your training. If you have a CrossFit membership, then your trainer should ensure that your program incorporates adequate recovery. If you’re working out on your own, you should take care to do so as well. This means taking (at least) a day off each week from intense exercise—if you simply must exercise on your off day, maybe just go for a walk. Every couple of months, you might also have a “recovery week,” during which you still work out but at a lower intensity. Remember that muscles are made during recovery. Your muscles need time off to repair, rebuild, and come back stronger than ever. Overworking yourself doesn’t make you stronger; it often results in stalled progress and increases your risk of injury. You may feel tired, challenged, or sweaty during your workout, but you should never work through outright pain. If something hurts, back off of what you’re doing. If you’re experiencing persistent issues, let your trainer know. A rare condition known as rhabdomyolysis (or “rhabdo,” for short) sometimes afflicts athletes who stress their muscles beyond what they can handle. You can lower your risk by starting slow: Even if you’re already an avid jogger, for instance, the physical demands of CrossFit are simply different from low-intensity steady state (LISS) exercise. So take your time and listen to your body. Once you’ve decided to try CrossFit and found a good box, it’s time to start training! Your trainer will of course switch things up, but CrossFit has nine foundational moves. You’ll soon learn to perform these moves with confidence. I find that it’s easiest to learn and understand some of these movements through demonstration, so I’ve included links to videos for each exercise. Many of these exercises involve weights of some kind (barbell, medicine ball), but you might want to go through the motions without weights first just to get the hang of it. The air squat is essentially a basic squat, executed without holding any weights. Standing with your feet about shoulder-width apart, your hips travel up and down in a smooth, controlled movement, ideally getting lower than your knees (you may need to work up to this!). As you squat, you’ll keep good posture. Your heels stay flat on the ground, and your knees track in line with your toes—careful not to let them fold inward. You can bring your arms up in front of you for balance. Take care with this one—some people fall backwards on their first try. The overhead squat is just what it sounds like: performing squats while holding the bar over your head. It’s important to keep good control over the bar and your form. Keep your movement slow and controlled, focusing on excellent form. Again, your hips will move up and down while you maintain good posture. Knees should still be in line with toes. Hold the bar with a relatively wide grip, underarms facing forward, and don’t let yourself collapse under the bar’s weight. Instead, think about pushing the bar up as you squat. Using the same controlled form as described above, you perform a front squat while holding the bar so that it rests along the front of your shoulders, kept in place with a loose fingertip grip. This is another simple, effective move that strengthens your legs, glutes, and core. For the shoulder press, stand with feet about hip-width apart, holding the bar at your shoulders. Then press the bar up overhead, keeping your heels down on the floor and your torso steady. This exercise does wonders for your deltoids (shoulder muscles), and also recruits your triceps, trapezius, and rotator cuff muscles. The push press is a similar movement, but you’ll use a little momentum to get the bar from shoulder-height to overhead. I love this move because it’s so practical—it’s the move you instinctively perform when you’re shoving something heavy into an airplane’s overhead bins, for example. Here’s how to do it: Stand with feet shoulder-width apart, bar resting at the front of your shoulders and torso, held in place with a fingertip grip. Bend your knees into a slight squat, then press upward, bring the bar over your head. Then bring the bar back down to your chest. The push jerk is another overhead move performed with a bar that will build strength and coordination. Proper technique is vital to keep your back safe from injury. You’ll set up with a hip-width stance, holding the bar at your chest with a full grip. You’ll then bend your knees slightly, allowing you to build power and create momentum. Drive the bar up overhead. As if reaches the overhead position, you’ll dip back down again, “landing” with your knees bent. Finally, stand up fully to complete the rep. Return the bar to your chest, and repeat! The medicine ball clean is a complex move that I struggled with before I was able to get it right. You’ll go through the motions of picking up, squatting and then standing up cleanly all while holding a medicine ball. The moves that make up the medicine ball clean are simple enough, but difficult to execute in an HIIT setting with proper form and high reps. Have your trainer run through these with you because proper form is essential for avoiding injury. This move is definitely one that’s easier to understand by seeing it performed, so make sure to check out the video linked above! The deadlift is simple, straightforward, and allows you to move a lot of weight. 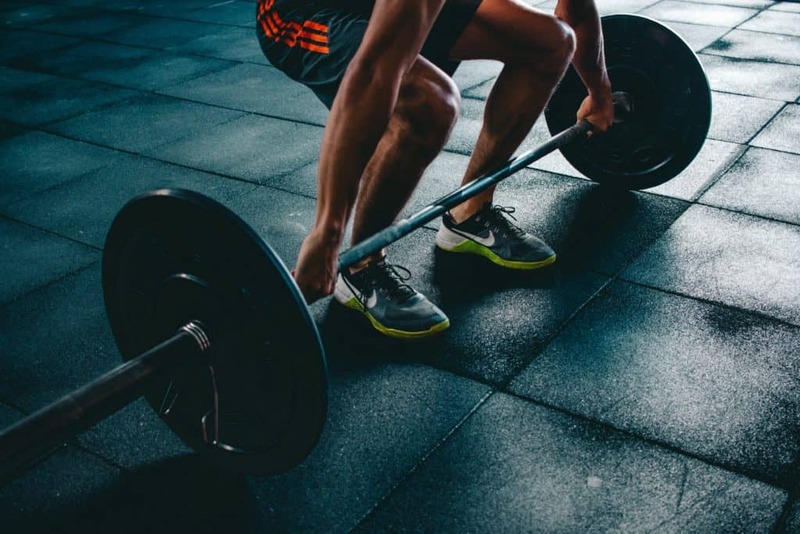 Before you begin pulling tons of weight, however, I recommend beginning with the hip hinge, which is the basic movement needed to perform a deadlift properly. So take some time to practice the hip hinge before moving on. Here’s how to deadlift: Stand with your feet hip-width apart and toes pointed forward. The bar is one the ground. Bend down to grip the bar, positioning your hands slightly wider than your hips. The bar should be aligned with the middle of your feet, and your shoulders should be slightly in front of it. Keep your back flat and neutral throughout the entire move, with your shoulders back and down. Make sure that your back and shoulders are correctly positioned before attempting to lift the bar. If you have trouble with this (for instance, you might have tight hamstrings), then make adjustments accordingly (for example, the rack pull is a similar move that’s great for people with less mobility). Once you’re set up, it’s time to lift the bar, coming to a full standing position. Then lower the bar back down, and repeat. For the sumo deadlift high pull (SDHP), begin with your feet slightly wider than shoulder-width, knees tracking over toes. The bar will be on the ground. Grip the bar and set yourself up for a deadlift, as described above. The beginning of this move is somewhat similar to a traditional deadlift, so make sure you’re comfortable with those first. As you stand and raise the bar, your hips drive forward and create momentum. An SDHP capitalizes on this momentum. The force of your hips and core essentially push the bar upward if you allow it. So even though this move is called a “pull,” you shouldn’t be pulling and straining all that much to get the bar up to your chin. Instead, let your hips and core do most of the work. Sound complicated? It is. This is one move that I don’t recommend trying at home with no experience. You need to be sure you’re executing it correctly, as it’s all too easy to get wrong. I’ve gone over what you can expect from a CrossFit box and the kinds of exercises that form the foundation of CrossFit programming. 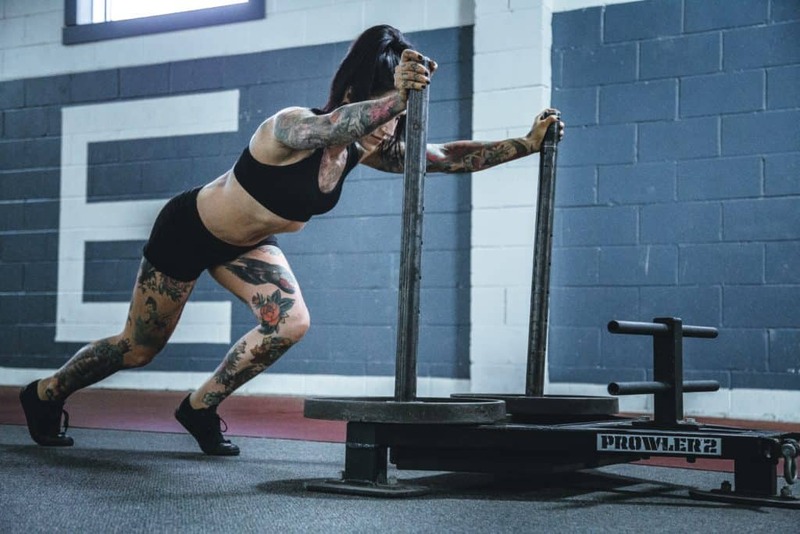 Now, I’ll give a brief run-down of the equipment you’ll find in most CrossFit boxes—something to think about especially if you want to buy some equipment to work out at home! Seven out of the nine basic CrossFit moves require a barbell, or a straight bar. A gym can’t survive without it, and you’re sure to encounter it on Day One. You can do a lot with one single pull-up bar. You can of course do pull-ups, but what if you’re not quite there yet? You can still use a bar to practice dead hangs, one of the first steps to improving your grip strength and getting used to holding your whole body weight. You can then progress to active hangs and scapular pull-ups. Pull-up bars are great for more advanced movements as well, such as muscle-ups. Or, you can hang rings off it to incorporate gymnastics. Speaking of rings…When you first have a go at pulling your body up on the rings, you’ll realize right away that you hate them. The more you use them, the more that hate will evolve to irritated fondness. The rings take away the stability of a pull up bar. They force you to work really hard to make your body do what you want it to. I’ve used the plyo box plenty of times, and I’d say about 97% of those experiences included box jumps. They improve vertical stability and control, as well as coordination. Jumping up from a standstill onto a box is harder than it looks. You can also jump over them, or from box to box. The options are endless. And finally, Rock Tape isn’t really equipment so much as a useful preventative measure. Rock Tape actually lifts your skin away from sore muscles and joints, causing more blood to flow to the area and promoting faster healing. There’s no way around it: CrossFit is sometimes really hard. If you find yourself needing motivation, there’s nothing better than watching the CrossFit Games. A massive competition sponsored by Reebok, the CrossFit Games are an incredible show of strength and perseverance. The athletes are nothing short of inspiring. They compete in events like ocean swimming and gymnastics, with surprise elements tucked around every corner. There is no way to train specifically, because the workouts are introduced just days before the Games. The unpredictable challenges of the Games exemplify what it means to be a CrossFit athlete: Ready for anything. The Games began in 2007 on the homestead of Games Director Dave Castro. It’s grown considerably since then, drawing thousands of competitors through two stages of qualifications. Divisional competitions (Individual, Teams, Master’s, Teens) are all broadcasted live by ESPN. The games have drawn a ton of positive coverage, and they add to CrossFit craze every year. They are a true show of athleticism, and push the body to the brink! Only the strongest will survive. No wait, that’s The Hunger Games. Everyone survives the CrossFit Games. Without question, CrossFit is one of the best things you’ll ever do for your body, your overall well-being, and your social life. Your health will improve right along with your self-esteem. Not only will you look and feel better, but you’ll feel gain a whole new family. Not a replacement family, but an additional family. If you have even an inkling of trying CrossFit, and you must because here you are, then I strongly suggest trying a class or two. If you’re like me, you’ll end up wheezing on the floor with an inexplicable urge to come back the next day. Have you tried CrossFit? Will you be trying it now that you’ve read our guide? Do you have any tips for anyone still on the fence? Weigh in!